Reflecting on Stefan Sobkowiak’s workshops in April this year. 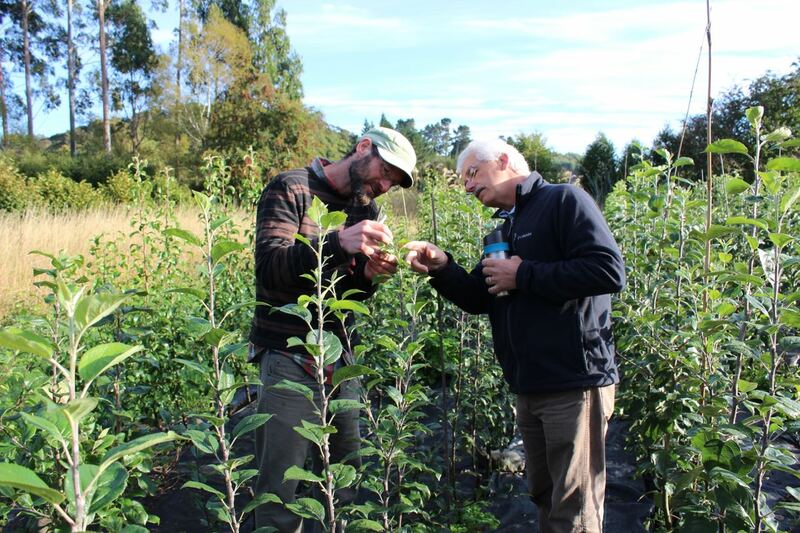 It was a great pleasure to host Stefan at Habitate Farm for a workshop on fruit tree training and soils. Thanks to all involved for organising the tour and hosting Stefan, Doreen and James here in Dunedin. When you are busy on the land it’s a welcome inspiration to have a teacher such as Stefan come and reinforce the principles of permaculture through workshops in your bioregion. 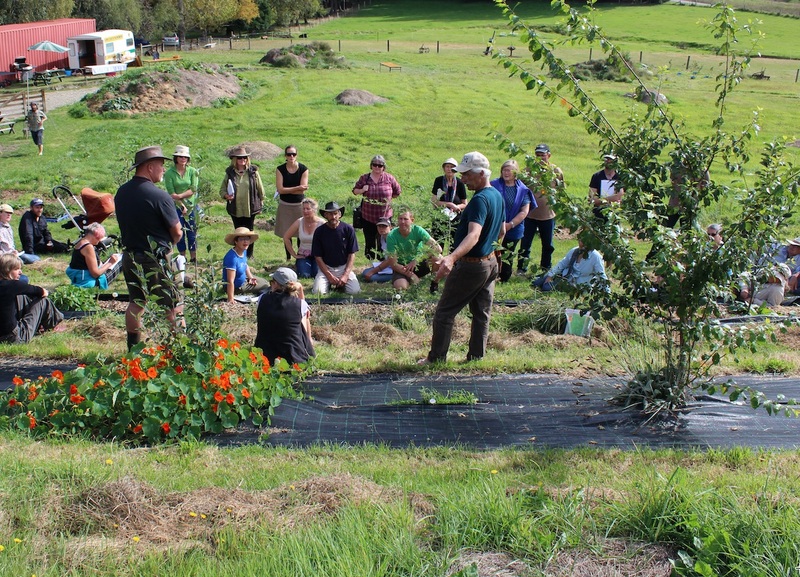 We need well documented examples of permaculture systems and The Permaculture Orchard is probably the best film documenting a commercial permaculture orchard. Stefan has set up and runs an orchard that produces a quality food for a sizeable customer base. His customers join as members, then enjoy visiting this beautiful farm, meeting each other and browsing the aisles (rows) to gather food (his is a members-only U-Pick Farm). For me permaculture is as much about making beautiful inspiring places as it is about the quantity of food produced, so this aspect of his farm was great to see. Flowers are grown, for example, in amongst the productive plants and offered free for customers to pick, adding further delight to the diversity of edibles in each row. What has made Stefan’s farm successful? I would say systems design. The basis of permaculture is the conscious design of systems which overlap to form a constructed ecosystem inspired by observed natural ecologies. Stefan has clear, explainable system patterns, that allow for patterned replication and expansion across the farm. Examples are the Nitrogen Fixer-Apple-Pear/Plum trio’s, the ripening-time ordered rows, the tree to shrub to perennial planting patterns, the animal rotations through the rows, the mowing patterns and many more. One of the great achievements is to have taken the benefits of a forest ecology (layers, diversity, predator / beneficial insect and bird habitat, pioneer / support species) and to have patterned them into a system of rows, allowing for ease of management and customer U-pick harvest (the needs of human nature). Looking to the mulch layer we find the key to what has allowed all of this to happen with minimal maintenance. A plastic mulch. A simple logical solution and yet so mind-bendingly hard to come to grips with for those of us that associate plastic with environmental degradation. In Stefan’s system it is allowing large scale diversity and production. Stefan’s is a commercial operation,with irrigation, posts, wires and overhead sprinklers for frost fighting, there is a lot of infrastructure there, why not add a layer of plastic and be rid of untold hours of weeding and instead use that energy for establishing and harvesting the diverse and abundant produce? There may be some good reasons. I am sceptical as to whether this system would work as well in a coastal New Zealand climate where grass and other weeds grow all year round. So many books and now movies on permaculture are from either sub-tropical or continental climates, we have to take the principles of these ideas and examples and not necessarily the techniques. I hope someone, (including myself), tests this plastic system in a coastal New Zealand climate. Unfortunately I have seen too many examples over the years of plastic or weed mat put down permanently on the ground only to be overrun with grass and buried, and then the weeds we are trying to avoid, grow back on top. I have had to remove plastic layers buried amongst ornamental gardens, tangled with roots. It’s a difficult, destructive job. Stefan has observed worms moving organic matter through holes to underneath his plastic. In local ornamental examples that I have seen this has not happened fast enough, the garden looks brilliant for the first ten years and then plants start to decline, the soil below the plastic layer is starving for organic matter from above. In this, his latest video, Stefan shows the difference in growth rate where plastic was not used, no competition does make a huge difference. An alternate system that we are using for orchard/food forest establishment is based on Martin Crawford’s system of using woven weed mat. We put a strip of weed mat each side of a newly planted row for one or two years and then lift it and immediately plant heavily with carefully chosen varieties. The weed mat if carefully moved can be used again and again to kick start more orchard / food forest rows – perhaps a useful system up to a small commercial scale. We have a side by side trial with a row that has support species planted and is minimally weeded and only roughly mulched. Growth in the weed matted row is at least thirty percent more after the first year. Because of our non-stop grass growth the use of animal grazing as the primary understory layer of production has strong appeal. This limits under tree diversity but gives us important animal yields. I am sold on the tree training techniques that Stefan introduced us to. They are brilliantly systematic and solve many of the issues that I have had with trying to combine heading back of branches and only half training branches down. I look forward to trialling these on new trees and renovating old trees to this system. Stefan talked a lot about autumn tree planting for good establishment of trees. This year through my nursery I am offering an earlier delivery of our certified organic bare root fruit trees (the end of June) and several customers from Stefan’s workshop have requested this. Hopefully the apple trees believe that autumn is here by then as they are still in full green leaf as I write in mid-May. I have always pruned back my nursery trees before delivery to around one metre so that they grow strongly and branch low for my home gardener customers. I will leave them un-pruned for anyone wanting to use Stefan’s training system, if so I think you need to ensure little competition, good fertility and consistent moisture to achieve the growth and branching required. Growing Fruit Trees: Novel Concepts and Practices for Successful Care and Management covers the techniques Stefan described. I look forward to many more well documented evolutions towards our shared vision of beautiful, diverse, productive, perennial polycultures. This entry was posted in Articles, Instruction, Tour news, Video and tagged Plastic Mulch, Pruning, Video. 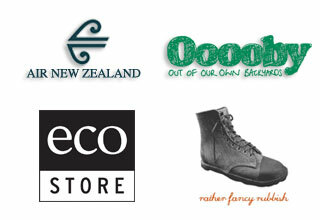 Sending out a big thank you to Ooooby, who joined Air New Zealand as a major sponsor of the Beyond Organic NZ Tour. Pete Russell describes Ooooby’s mission – to rebuild the local food system – and how this is being done. This entry was posted in Tour news, Video. Stefan Sobkowiak’s detailed presentation of the membership marketing model he uses to share the abundance from his Permaculture Orchard. It was given near the end of the Beyond Organic NZ Tour at the Palmerston workshop on April 3rd. This entry was posted in Articles, Instruction, Video. Rather than say too much about the workshop myself, I’ll let the participants speak to their experience of it.